Your kitchen cabinets and more than just storage to stuff all of your tupperware , pots and pans. They play an integral part of your kitchen design and it’s about time they start getting attention in your kitchen renovation designs. There are so many custom things you can do with your cabinets to make them stand out in your kitchen. Excellent joineries in Christchurch can customize them to give you hardware and other finishes to make your cabinets one-of-a-kind. Make sure that you explore all the options that your renovation designer will go over with you in the designing portion of the kitchen renovation. You should no longer be satisfied with just wood or white colored cabinets. Cabinets done with a joinery in Christchurch can be customized in a limitless array of colors to go with any design. The main color are light medium and dark. Each color is going to add extra do your kitchen cabinets. You can dress up your kitchen a wide variety of warm greys or choose more bold colors like lime green and royal purples to get a more unique look for your kitchen. You’ll also want to consider what kind of wood is going to give you the best overall color and function for your design. Along with color is also the different types of finishes that are available in the many colors. You can choose a more distressed finish to bring an antique or farm finish to your kitchen. Or if you’d like to a more modern and sleek finishes then you’ll want a eggshell or a flat finish to be able achieve this look. Take the time to see how each color will look with each finish before making the decision because some colors may clash with other finishes. Whatever finish you use your gonna make sure that it fits your overall design. There’s a lot of of different door options that allow you to further customize your kitchen cabinets during your kitchen renovation. Modern cabinets tend to be free from hardware like handles or other ornate pieces. But if you want your design to be kept simple, edges are trendy right now. Even if you prefer handles they come in a wide array of low profile styles and materials so that you can have something that is both functional and trendy. There’s also the panel styles that will help solidify your overall style of the cabinets. There are so many choices like raised panels, flat panels or even beaded style doors. Each doors features are going to give a different shape and design in your kitchen cabinets and make the paint colors you choose stand out differently. Your kitchen renovation is all about the small details that can create your dreams. Open shelving is another feature your Christchurch joinery can build. Open shelving may not be great for storage however they work great in small kitchens. They can be finished in an array of different colors and finishes or they can be left with a more natural and rustic finish. Open shelving leaves a bit of a storage conundrum but as long as your lower drawers can accommodate all of your needs it can be open and inviting tab open shelving. Another option is to incorporate open shelving on an accent wall to add decor and photos. Even adding open shelves just to add some green in your space is a great idea. No matter how beautiful your cabinets look they must live up functionally for all of your kitchen storage needs. It’s important that during a kitchen renovation to address all of these needs your kitchen designer and Christchurch joinery to store all that you require for functional kitchen. It’s important to utilize all the space you have available in your kitchen for staples like the trash can, your tubberware, and your pantry. When It comes to the space you have available you have to get creative sometimes with things like corner cabinets and pantries that pull out of walls. 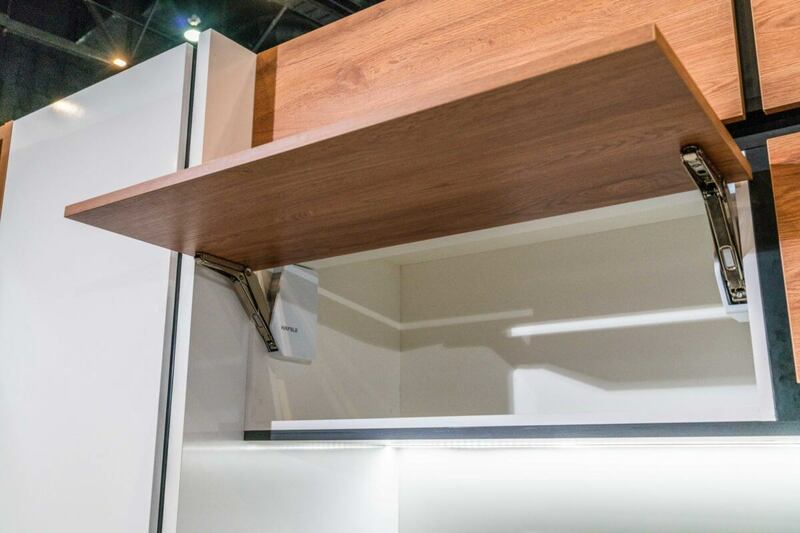 Another thing that helps with storage is to take the cabinets all the way up to the up to the ceiling so that no space is wasted. There are so many options when it comes to kitchen cabinets. They are no longer just for storing dishes. They are now a large piece of your kitchen statement and be beautiful you need to tie together your kitchen renovation design. From stains and colors to door designs all culminating to a great design that works for your own unique design in your kitchen renovation. But you also have to consider all of your storage needs,because where you put all of your pots and pans id just as important as how they look.